Playful rhymes and by-the-sea sketches invite you to build sand castles, toss a Frisbee, fly a kite, and visit the ice cream truck. 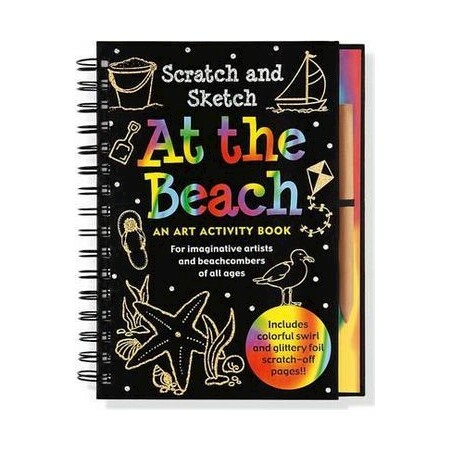 Discover seashore critters as you scratch and sketch pictures of fun at the beach! Wire-o bound hardcover. Includes: 10 scratch-off, 10 illustrated, and 10 sketch pages. Ages 5 and up. Martha Zschock is the author and illustrator of many children's books and products. She is a former elementary school teacher and loves to continue taking children on field trips through her "Journey Around" and "Hello!" series of books. She lives on Cape Cod with her family.